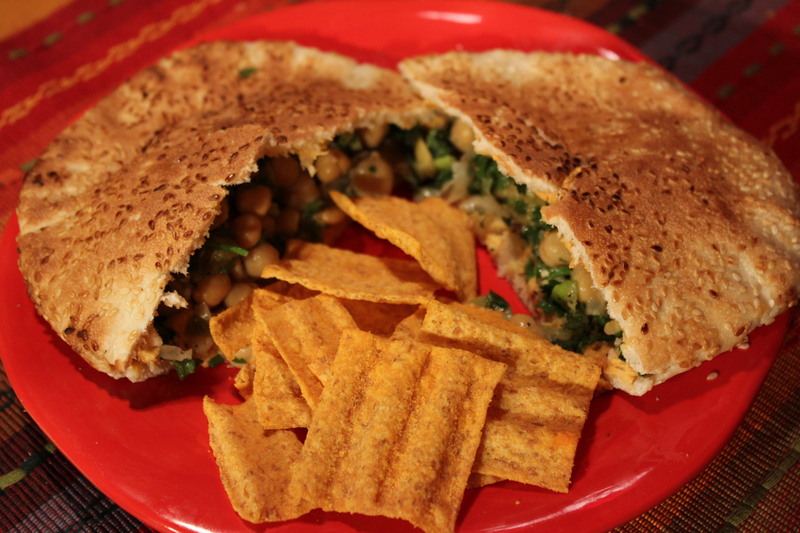 I first tried hummus in 1995 during an Outward Bound Leadership program. There were 12 of us from various parts of the U.S. who spent five days sailing (should I say rowing) a 26-foot wooden boat, hopping from island to island in the Puget Sound in Washington state and learning about team building, management and leadership. One of our food staples was hummus, which we made daily from some sort of pre-packaged powder and water. After spending hours upon hours, rowing and rowing, the powdered hummus was amazingly good for what it was, maybe because we had worked up our appetites. 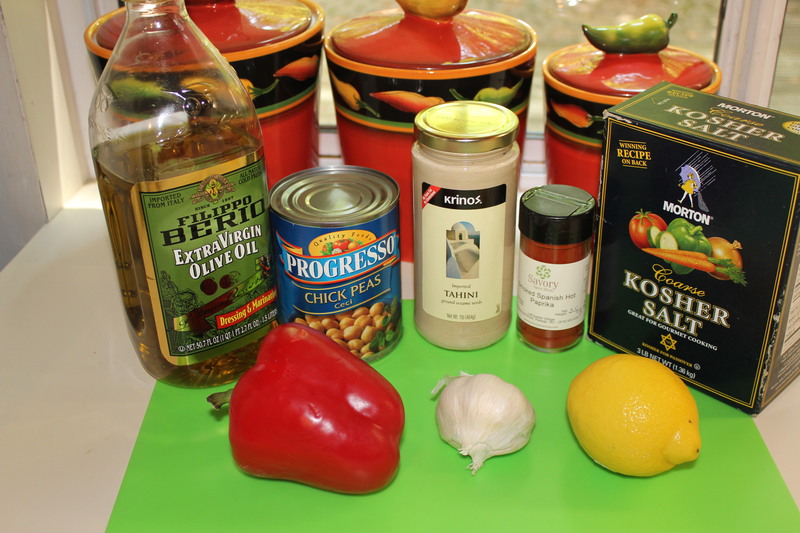 Since that adventure I quickly learned that you can make hummus with fresh ingredients – no powder in sight – and have been making several different versions of it ever since. 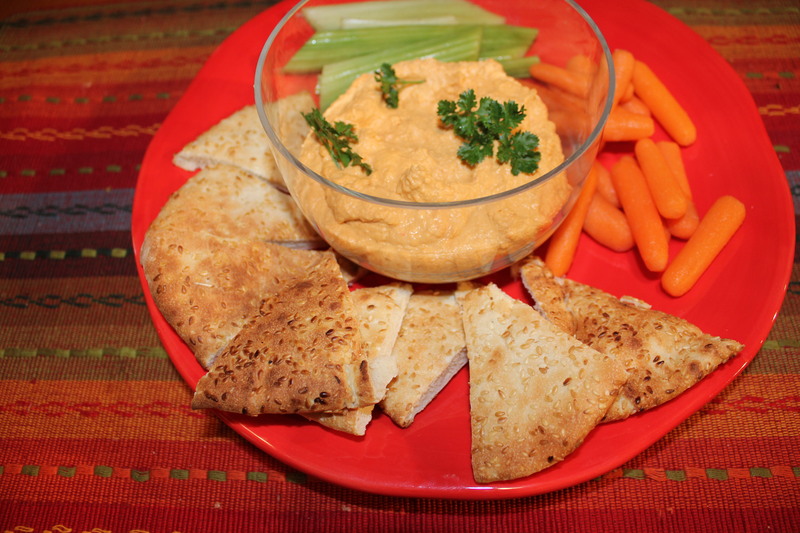 My favorite is this roasted red pepper hummus that is great as a dip or a spread. And not only does it taste wonderful, but it is low in fat and good for you. 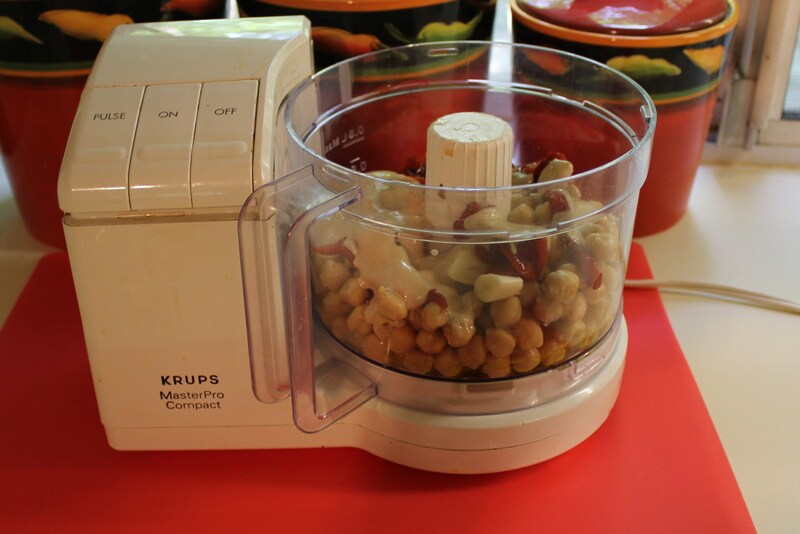 In a food processor add the chickpeas, roasted red pepper, tahini, lemon juice, garlic and olive oil and paprika. 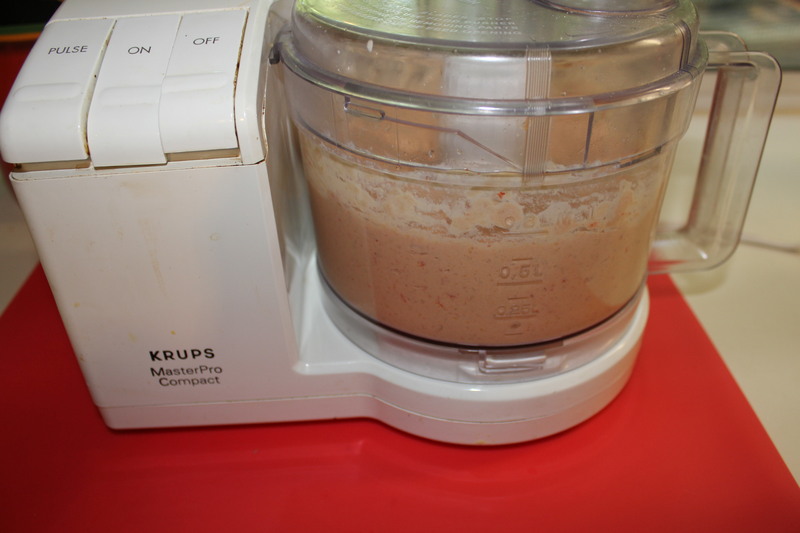 Blend until the mixture is smooth – the longer you blend, the creamier it will be. Add the salt in small pinches – it shouldn’t need much. Now is the time to add that third garlic clove if needed. 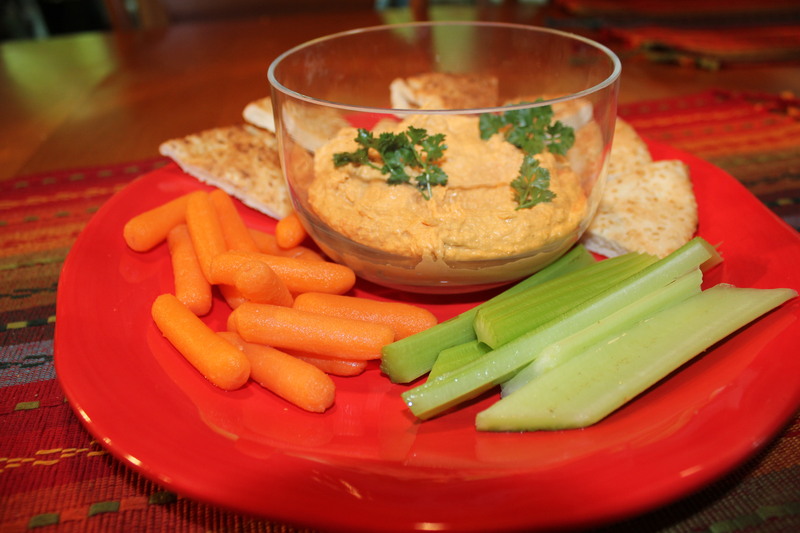 You can serve this as a dip accompanied with toasted pita points and fresh veggies such as celery and carrots. 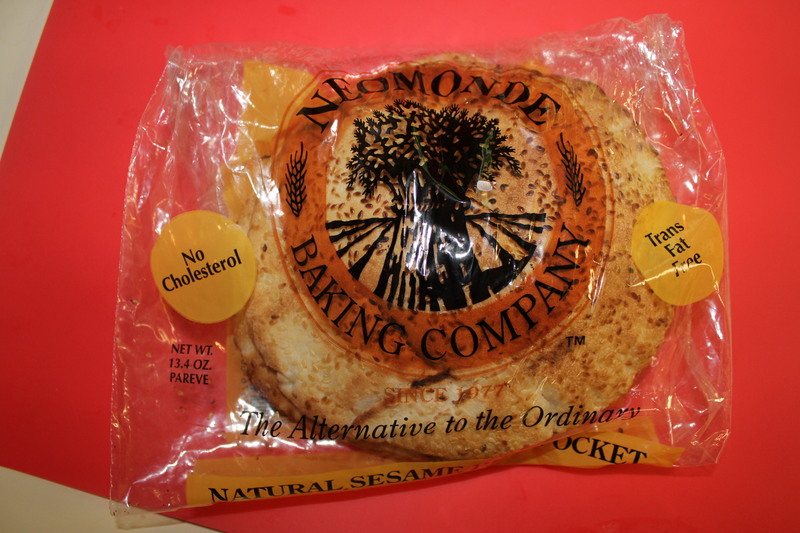 My favorite pita bread is the sesame seed from Neomonde Baking Company in Raleigh – this stuff is sooooo good. I also like to use this hummus as a spread for a wonderful pita sandwich I make with tabouli and chickpea salad, both from Neomonde as well. This keeps well in the refrigerator for a few weeks, that is if you have any left after that long. 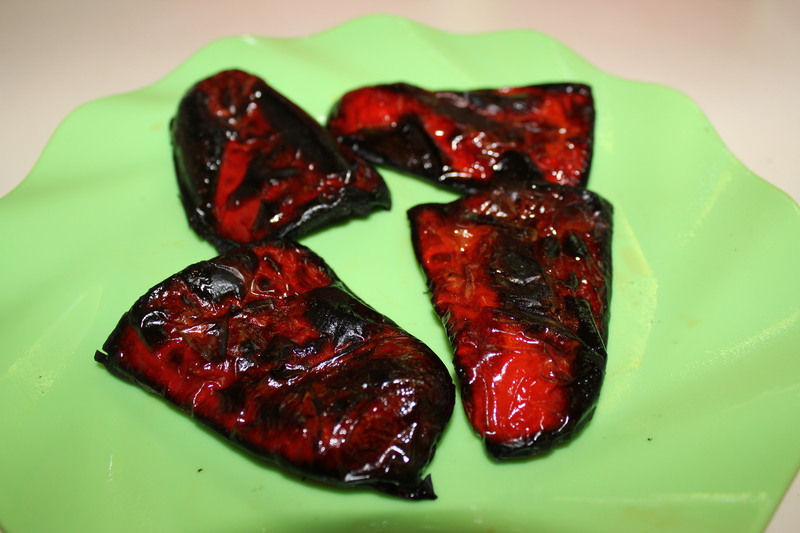 This entry was posted in Appetizers, Low fat, Recipes, Vegetables/Vegetarian/Vegan and tagged eat drink and be merry, hummus recipe, kel's cafe of all things food, Kelley Chisholm blog, Neomonde Raleigh NC, Raleigh food blog, roasted red pepper hummus recipe, Savory spice Store, vegetarian recipes. Bookmark the permalink.